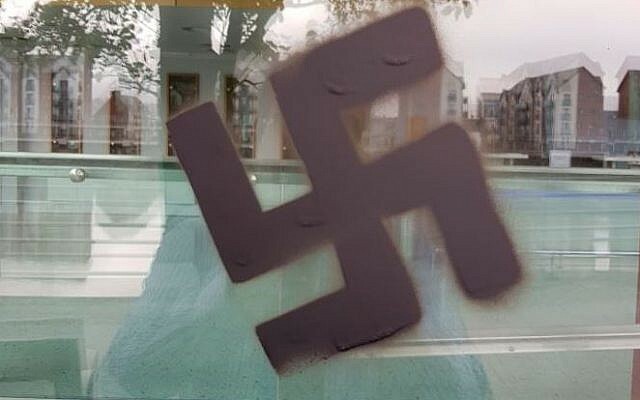 A far-right group supporter has been jailed for six years after a month-long hate campaign which included spray painting landmarks with swastikas. 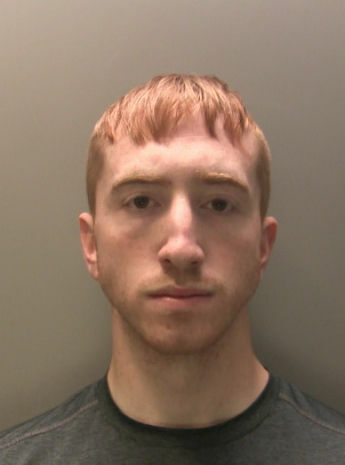 Austin Ross, 23, stuck racist posters on buildings around his home town, as well as torching a school and a masonic lodge, causing tens of thousands of pounds worth of damage. 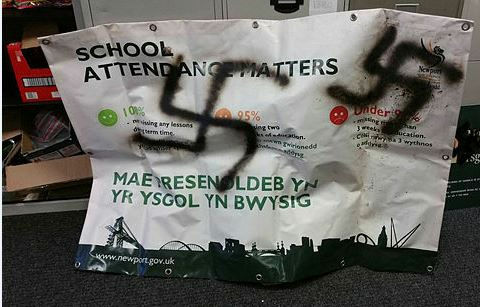 Between May 2 and May 31 this year he spray painted Nazi symbols and stuck racist propaganda on to landmarks around his hometown of Newport, south Wales. Prosecutor Jason Howells told Newport Crown Court that Ross first targeted the city’s Riverfront Theatre by posting a “racially abusive poster” on a window pane. His next target was Newport’s multicultural Maindee Primary School, where parents reported seeing racist posters outside it referring to refugees, and the message “You have been visited by the SRN”. The slogan “1488” was painted by Ross on to the outside wall of Gwent Probation Services – with 14 being code for “We must secure the existence of our people and a future for white children” coined by white supremacist David Lane, and 88 being code for “Heil Hitler”. 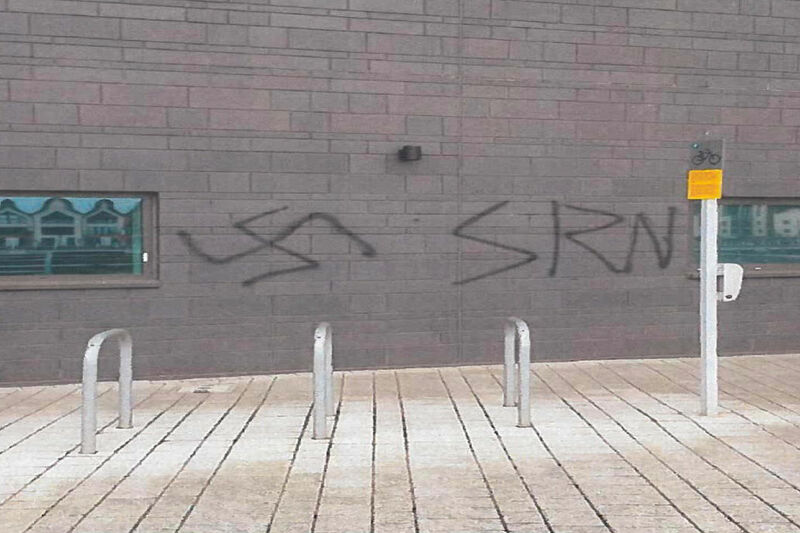 Ross also wrote “Free Tommy Robinson” along with graffiti of swastikas at the University of South Wales campus. Police raided his home and found stencils of swastikas, and posters which read “Keep Britain White” and “Hitler was right”. Harry Baker, defending, said: “There’s a different side to this young man. Ross, from Romney Close, Bettws, Newport, showed no emotion as he was jailed for six years.